Knotted-Thread: Not a lot of sewing.. So, needless to say my sewing machine has been pretty quiet this week. I did however sit back and watch some movies so I decided to let you know about them! This one I saw on Wednesday and it was hysterical. Definitely not a children's movie though. 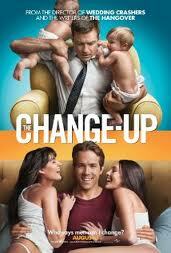 I'm a huge Ryan Reynolds fan so if you like him, I recommend it even more. This movie I saw on Monday, and it was awesome. My boyfriend isn't one for romantic comedies so i was surprised he even agreed. This movie was HYSTERICAL and was something we both could enjoy. Alright, sewing this weekend I hope. Anyone else in my area where they are calling for SNOW tomorrow? Ugh, its October! Too early!! Enjoy the weekend everyone, here's to being productive!